Moving to the Cloud is a strategic, business-driven decision. Cloud Computing can offer a range of solutions to help drive business performance. Many businesses are migrating to Cloud Computing already. To ensure you get the most from your investment, you need to be able to determine how cloud solutions can help your business grow revenue, scale, accommodate teleworkers, let you move faster than your competition, and help you make your technology infrastructure costs more predictable. 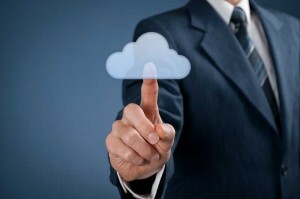 Read on to gain an understanding of the many business benefits of Cloud Computing. You won’t be waiting on hardware to deliver for your new Cloud Service. In many cases you can deploy new Cloud Services on demand. Additionally, your Cloud Service Provider (CSP) is responsible for keeping the systems up to date with the latest updates and upgrades. SaaS providers can upgrade features and functionality during regularly planned maintenance windows. This keeps your systems up to date with the latest functionality and capability. Monthly subscription services provide business owners a predictable IT expense. License policies based on number of users, usage and other predictable factors make it easy to plan and budget your Cloud Computing expense. Because your systems are maintained by a Cloud Service Provider, you won’t need to worry about surprises like systems’ end-of-life scenarios that could add costly hardware, operating system and software upgrade expense. Cloud Computing offers your company many business benefits, including greater business value and the ability to leverage Cloud Services for business growth and innovation. Contact your Cloud Services Reseller to find out more about the silver lining Cloud Computing has to offer.